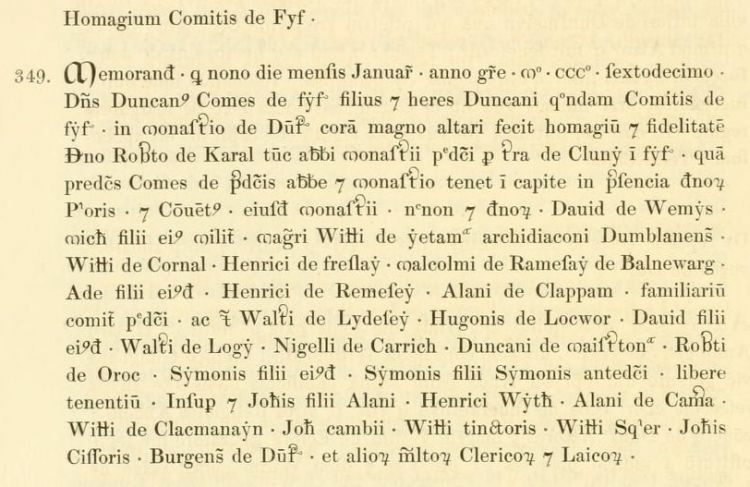 Duncan of Maysterton is referred to in two charters of 1316 as one of a number of Fife landowners witnessing Duncan, Earl fo Fife, paying homage to the Abbott of Dunfermline, for lands held of the abbey. Duncan de maysterton Dunf. Reg. no. 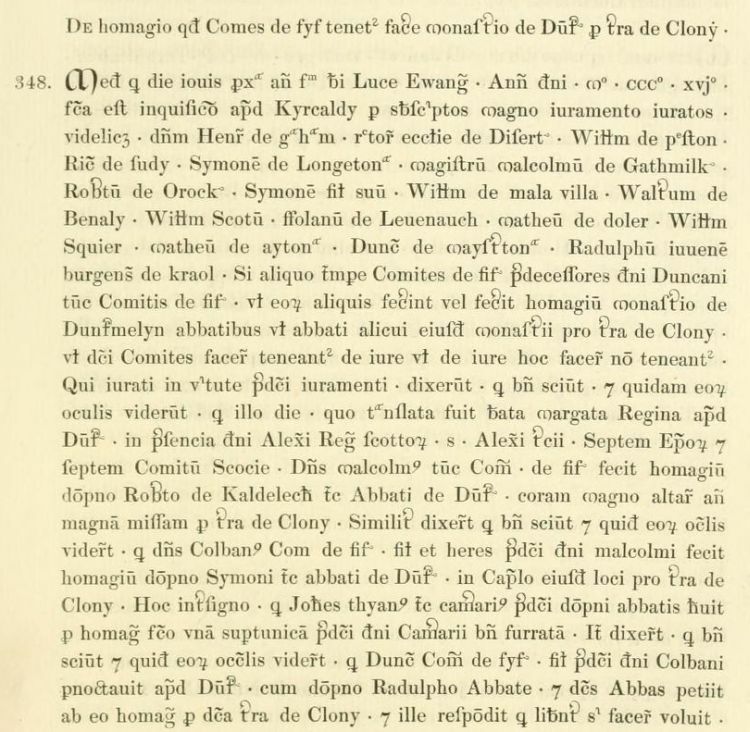 348 - Charter dated 1316.
reproduced from Registrum de Dunfermelyn, pages 235,236. Bannatyne Club, Edinburgh, 1842. Duncani de maisterton Dunf. Reg. no. 349 - Charter dated 1316.
reproduced from Registrum de Dunfermelyn, page 236. Bannatyne Club, Edinburgh, 1842.